This slatback stationary armless 30-inch seat height barstool can be customized to your needs in many ways to make it perfect for your home. First, pick your whether you want an arm chair or side chair (armless). Next, pick from a 24-inch or 30-inch seat height. 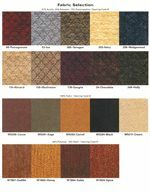 For the seat type, choose from a wood seat, fabric, vinyl seat, or a leather seat. Finally, complete your bar stool with a choice of wood types including Amish Oak, Quartersawn White Oak, Cherry, Maple, Hickory, or Painted Hickory. 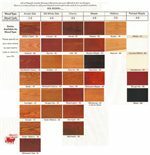 There are 28 wood finishes and five painted finishes available. The Carleton Side Chair 30" High Stationary Base Stool by Daniel's Amish at Virginia Furniture Market in the Rocky Mount, Roanoke, Lynchburg, Christiansburg, Blacksburg, Virginia area. Product availability may vary. Contact us for the most current availability on this product. Seat Available with a wood seat or upholstered with multiple options for fabric, vinyl, or leather. 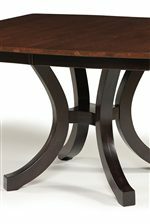 The Carleton collection is a great option if you are looking for Contemporary furniture in the Rocky Mount, Roanoke, Lynchburg, Christiansburg, Blacksburg, Virginia area. Browse other items in the Carleton collection from Virginia Furniture Market in the Rocky Mount, Roanoke, Lynchburg, Christiansburg, Blacksburg, Virginia area.